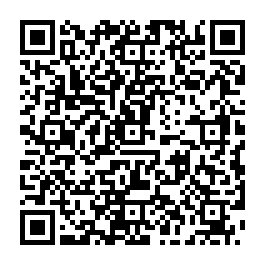 因為這兩張邊桌的抽屜裡有貼上原有的標籤，包括製造商與材料，讓我可以研究一下它們的歷史。發現它們是由美國早期在工藝美術運動時期一家頗具名聲的桌子製造商Imperial Furniture Co. 製造的。 這家公司在創於1903，到1954年結束營業，位在 Grand Rapids, MI 。 由這個時間可以推斷這張桌子至少有56年以上的歷史。可惜我無法由桌子的設計風格推斷他的確切年代，只能找類似風格，同樣公司製作的產品推算可能是1940年代。 很難想像，當時桌子施工之細緻與堅實。到現在它們仍然很堅固，優雅。 放在客廳，配上台燈與沙發的顏色美極了。一點也不覺得過時! The pair of end tables still keep their original beauty, and have never been restored or repainted. They are in very good condition, with elegent design and sturdy construction. These exquisitely designed and hand-crafted two-tier, mahogany end tables were acquired through a young couple who inherited the tables from their grandparents . These elegant, rare specimen was produced by one of the finest furniture makers in the United States, and a leader among the American Arts and Crafts Movement, The IMPERIAL FURNITURE COMPANY, Grand Rapids, Michigan. Imperial Furniture Co. labels are in the drawers. 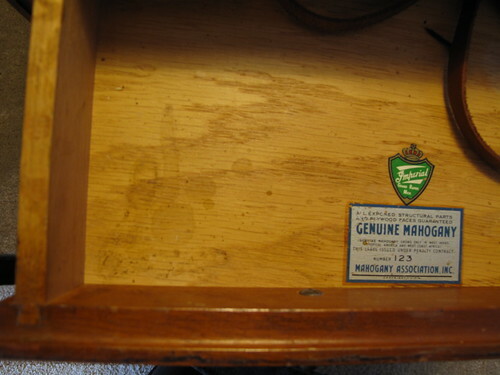 The other label is Mahogany Association. Inc. Number 123. The label proves all the exposed structural parts and plywood faces were made of genuine mahogany, which grows only in West Indies, tropical America and west coast of Africa. If it is not because we are moving out of the country soon, I will keep them. Come to look at the tables, they are not only worth of investment, but also look great in the living room.